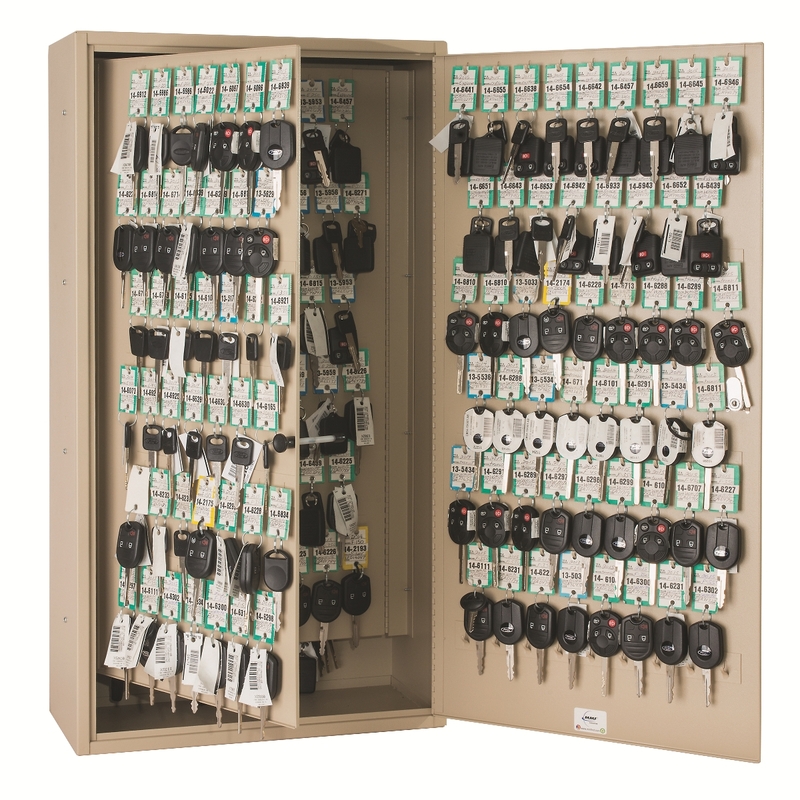 This key cabinet from MMF is specifically designed for automobile dealerships. It is perfect for cars, trucks, SUVs and RVs, particularly for the new, large key FOBS. This configuration has a total of 310 hooks, including 2 panels with 90 hooks each in addition to the front door with 60 hooks and cabinet back wall with 70 hooks. The automotive key cabinet features a very large 8" deep interior. This allows the newer electronic key FOBs to have plenty of room to hang row to row and remain secure when the panels are opened or closed. And there is a lot of room at the bottom of the cabinet for miscellaneous items that need to be secured but can't be hung on hooks. 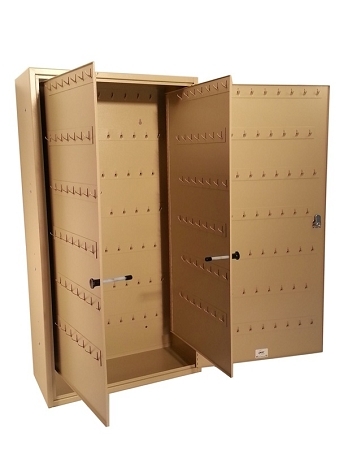 The cabinet is also available without any or one of the interior panels providing auto key cabinets of 130 and 220 key capacities, respectively. No matter which key cabinet you choose, they all have hooks that are curved making them ideal for larger car keys or fobs. 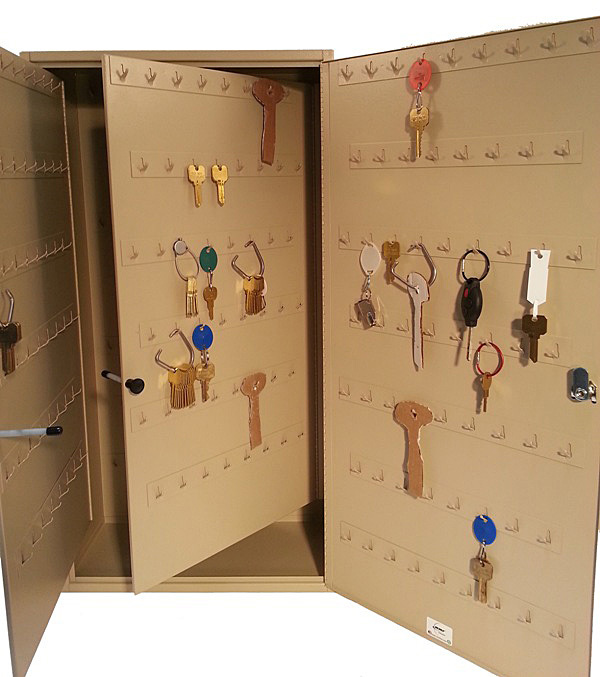 In addition, these key cabinets are also suitable for the very large paracentric keys used in correctional facilities. * Sand-colored, chip and scratch resistant finish.